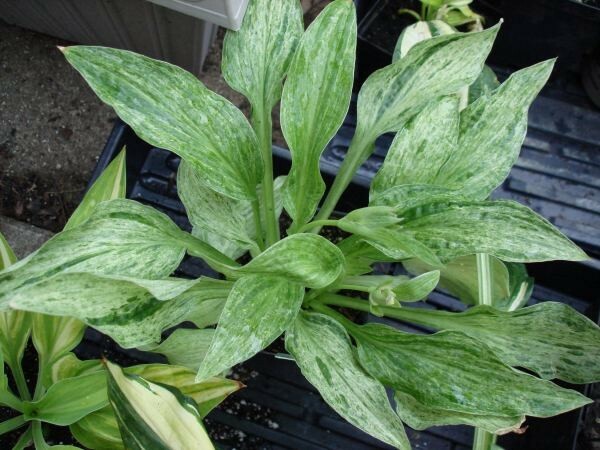 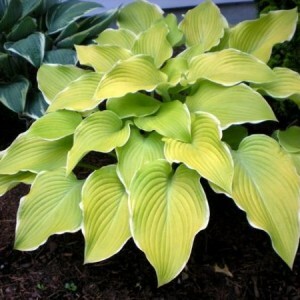 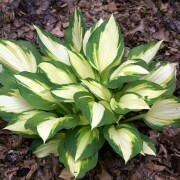 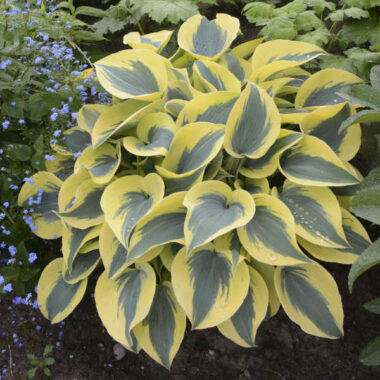 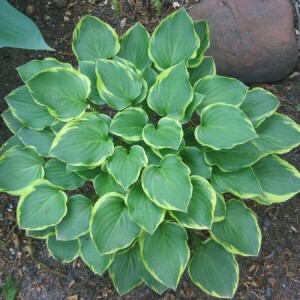 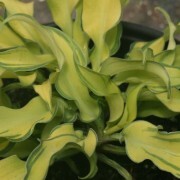 London Fog Hosta – Sport of 'Allegan Fog' with green-and white speckled foliage; like its mother plant but in a smaller size and without a green margin; good grower in nursery containers. 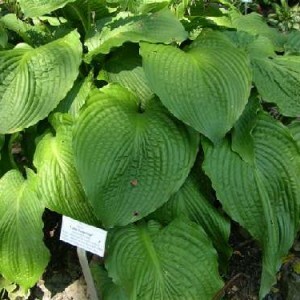 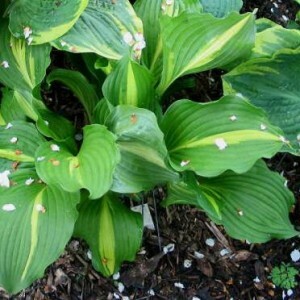 Small: 12″ high by 30″ wide mound; A sport of H. ‘Allegan Fog’ with white leaves having green flecks of color throughout. 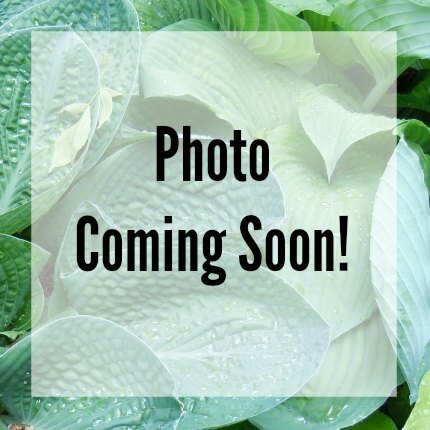 Lavender flowers in July.